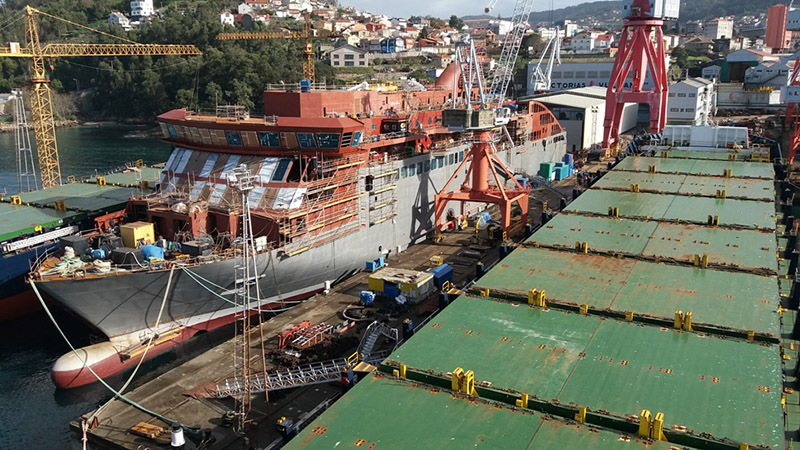 Juan Carlos Diaz Lorenzo reveals in Puente de Mando (in Spanish) the new name for the ferry under construction at the Vulcan Shipyard in Vigo for Trasmediterranea. We’re talking about the ferry that was originally ordered by Viking Line as VIKING ADCC. Her name will be VILLA DE TEROR. The town of Teror is a municipality in the province of Las Palmas, located north of Gran Canaria.